Part of "Alchi Group of monuments"
Located in the Leh district of Jammu & Kashmir, Alchi monastery is one of the most famous and the oldest of all the hamlets located in the lower Laddakh region. 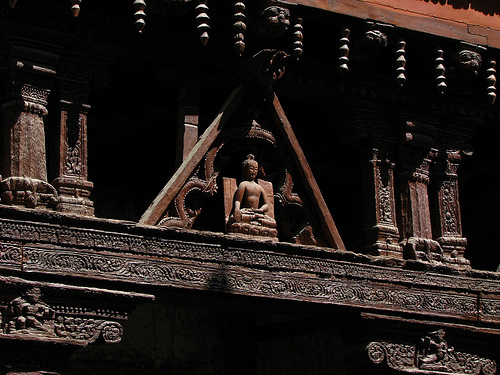 According to a popular legend, the place was built by Guru Rinchen Zangpo between 958 and 1055. However, according to inscription, it was a Tibetan noble who laid the foundation in the 11th century. 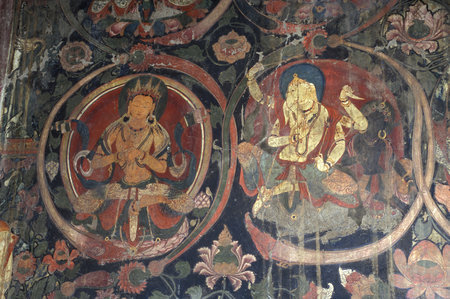 The place walls reflect the artistic and spiritual values of both the Hindu and the Buddhist traditions. 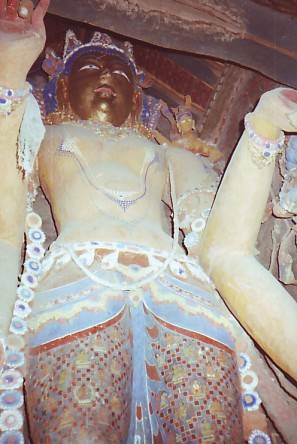 The beauty of this small monastery is also reflected in the baroque style wood carvings, art work and huge Buddha statues standing in the complex.